Nonagenarian Queen Elizabeth II, the first so-named queen of England since her Tudor predecessor four centuries earlier, is the oldest and longest ruling monarch in her country’s history. The first installment of this new Netflix series, The Crown, chronicles Elizabeth’s life and times from 1947 when she married Prince Philip (Matt Smith) to 1955. Season 1 introduces the royal family: King George VI (Jared Harris), Queen Mother Elizabeth (Victoria Hamilton), and their children, Elizabeth (Claire Foy) and Margaret (Vanessa Kirby). King George became an “accidental” monarch when his older brother Edward (Alex Jennings) abdicated the throne to marry the twice-divorced American, Wallis Simpson (Lia Williams). Intermittent flashbacks cover the war years and the childhood years of Princess Elizabeth. As The Crown opens, Elizabeth, Philip, and their children Charles and Anne have returned from Malta to be with her terminally ill father. Winston Churchill (John Lithgow) had been re-elected as prime minister in spite of his advanced age and various infirmities. When King George dies, the 25-year-old Princess Elizabeth suddenly begins her ascent to the throne of one of the oldest continuing monarchies in the world. The new Elizabethan era finally begins, and viewers receive a very intimate view of the royal family, warts and all. The personal dynamic between Prince Philip and Queen Elizabeth is strained at times and the former naval officer who finds his new life confining takes up aviation. We also get personal peeks into the private lives of the disgraced Edward and Wallis and the enduring enmity that he bears for his royal relatives, including his dying mother Queen Mary (Eileen Atkins). Midway through this first season, there is a vivid recreation of the historic and first televised 1953 coronation at Westminster Abbey. This proved to be a watershed moment in Elizabeth’s reign, only to be soon followed by the “scandalous” affair between her sister Margaret and Captain Peter Townsend (Ben Miles), a divorced commoner. The Queen Mother and Elizabeth’s private secretary Tommy Lascelles (Pip Torrens) set up roadblocks that delay Margaret’s marriage to Peter ultimately prevented by a combination of church and government regulations, thus creating a permanent rift between the royal sisters. Russia’s acquisition of the hydrogen bomb begins to shift the balance of power as England’s place at the international table becomes less secure. The Queen begins to feel uncertain about her ability to process such complex issues and hires a tutor (Alan Williams) to bring her “up to speed.” As the series proceeds through its final episodes, the relationship between the Queen and her younger sister continues to deteriorate while stress lines reappear in the Elizabeth-Philip union. Anthony Eden (Jeremy Northam) replaces Churchill as PM and is immediately thrust into the Suez Canal crisis, setting the stage for the next chapter in this series. Peter Morgan has created a stunning series populated by real people who just happened to be important historical figures. Many of the situations and most of the dialogue comes from Morgan and Tom Edge’s “pens,” and convey the credibility essential to this story. 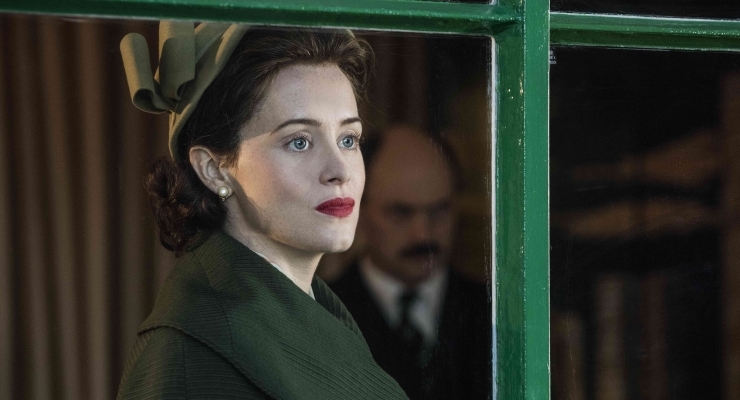 Claire Foy’s impersonation of Elizabeth Regina reveals all of the facets of a quiet young woman thrust into a limelight for which she is quite unprepared. Matt Smith captures Prince Philip’s quirkiness and awkward assumption of his role as the Royal Consort. John Lithgow is the ultimate Churchill, capturing his mannerisms and speech patterns, as he portrays an old man trying to retain power in his declining years. The large supporting cast is as strong as it gets, with special kudos to Vanessa Kirby, Victoria Hamilton, Alex Jennings, Ben Miles and Pip Torrens. The four directors that collaborated on the ten episodes deliver a seamless drama. The cinematography team of Adriano Goldman and Ole Bratt Birkeland provides one fascinating tableau after another with cameras that capture the authentic appearing locations and the characters therein. Noted film composer Rupert Gregson-Williams has created a score with tremendous atmosphere and the appropriate gravitas. This series strikes the exact balance between historic events and those who lived through them. Perhaps the crowning moment among many occurs when Sir Winston Churchill has his last audience with Elizabeth, so emotion-laden that dialogue becomes nonessential. The Crown is intended to run for six seasons, each one presumably to be devoted to a decade of Elizabeth’s life. Highly recommended with Season 2 set to air late next fall. 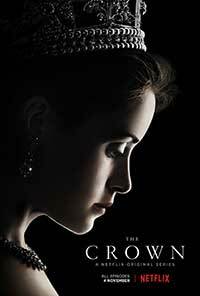 All episodes of The Crown: Season 1 are currently available for streaming on Netflix. A brilliant new historical series that presents the early years and challenges of Queen Elizabeth II's reign.